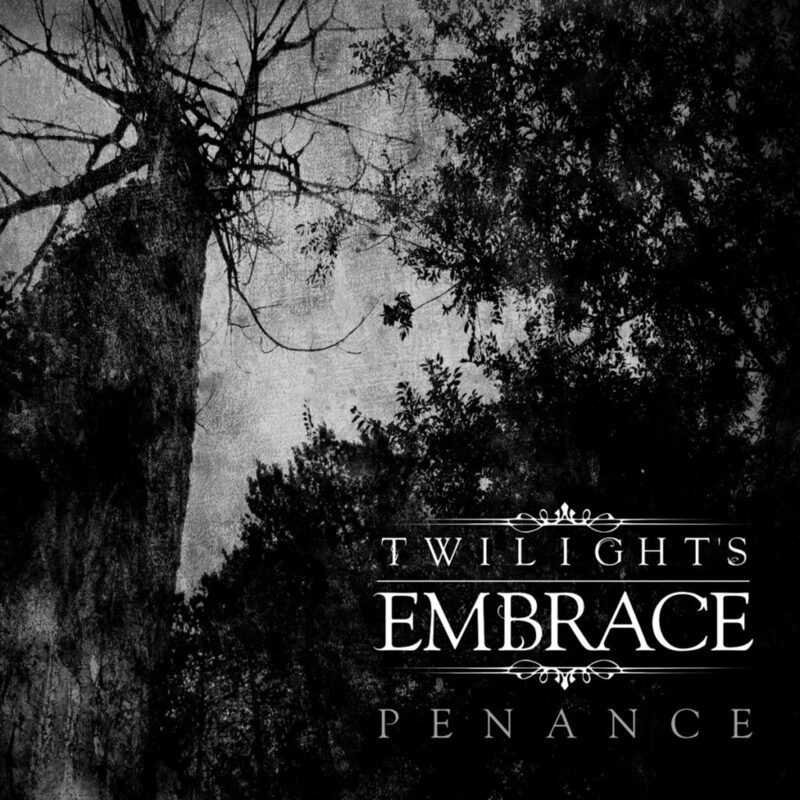 Nearly 4 years since their debut, the UK’s Twilight’s Embrace finally offer up their latest four-track EP – titled Penance – which touts three brand new originals and a Paradise Lost cover. With no shortage of gloomy riffage alongside shimmering clean guitars, these boys sure aren’t afraid to lay down praise to their influences and while the three original tracks all sound fairly similar, the upside is that Penance is a cohesive, albeit brief, descent into melancholy. You don’t have to listen long before it comes as no surprise that the fourth track is a Paradise Lost tune, but the selection from 1999’s synth-heavy Host might raise a few eyebrows at first glance. But we’ll come back to that later! After a short clean intro, “Dying Earth” launches into a slow-rolling headbanger of a dirge, a fine display of brooding gothic doom – with healthy melodic death influences – that’ll have you digging through your Insomnium albums by the time it’s over. Easily the EP’s catchiest tune, “Dying Earth” takes flight when vocalist Andrew Walmsley busts into his clean singing voice for the first time, a moment that’s sure to linger, long after the EP ends. Now the moment you’re probably most curious about. “It’s Too Late“, in its original PL form, was an orchestral ballad that could quite easily be mistaken for a Nine Inch Nails track. The version on Penance starts off similarly, with clean guitars replacing the electronics. But, before you grimace, the boys stomp on the distortion pedals and turn this mellow ballad into a doom opus. It ends up being a fantastic example of a band paying homage to an original, while making it wholly their own. Penance is set for release on 23rd February. The Moth: Hamburg’s Heaviest Return With New Album & UK Tour! Do not be in debt to these guys, they're armed to the teeth and ready to collect!